Bozeman has an award-winning urban trail system that will eventually form a pathway across the valley from the southern mountains to the “M” in the Bridger Mountains in the north. A map of the trail system can be obtained from Bozeman City Parks and Recreation (located in Beall Park – 409 N. Bozeman Ave.). Some of the favorite trails are the Gallagator Trail which begins near the Museum of the Rockies and heads toward downtown, ending at Lindley Park. Just across the street from Bogert Park (at the corner of Church and Story Streets), another popular trail takes you up onto Peet’s Hill and follows a ridgeline to the blue water tower; a great walk to take at sunset or for a beautiful view of the city. With a map and a bit of exploration, you will find a wide variety of options for trail walking or biking. 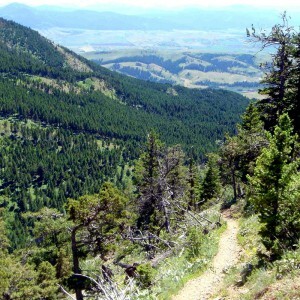 Bozeman has over 80 miles of trails in the city that are a part of the trail system Main Street to the Mountains. 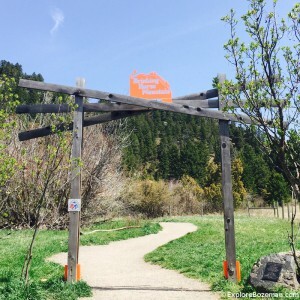 There are trails that wind through neighborhoods in Bozeman great for running and biking, trails across ridgelines and trails that connect up to the mountain trail systems. The Gallatin Valley Land Trust and many volunteers have worked hard to expand and maintain these trails. Tonight I am going to go on a short hike using one of these trails, the Triple Tree Trail, this trail starts in town and then winds its way into the national forest to a nice lookout over the valley. It is great to get done with work at 5 and within a few minutes be on the trails and enjoying the nature around Bozeman. There are many great trails outside of Bozeman as well. Hyalite Canyon just a 20 minute drive offers great hiking and camping in the summer and ice climbing and xc skiing in the winter. 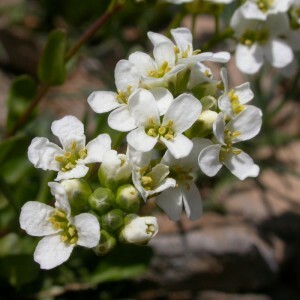 In addition we are surrounded by several mountain ranges giving you plenty of opportunities to get out in the mountains. Probably the most popular hike in town is to the “M” . The “M” was created by MSU students in 1915 and is maintained by MSU students today who go up each year to repaint the rocks that creat the large “M” on the side of Mount Baldy overlooking Bozeman and the MSU campus. To get to this trailhead is only a short 10 minute drive from campus and several routes lead up to it. 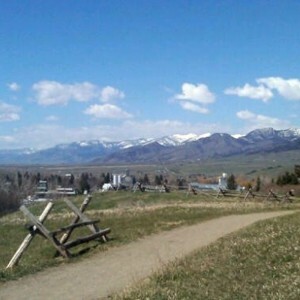 Once you reach the base of the “M” you have great views of Bozeman and the Gallatin Valley. 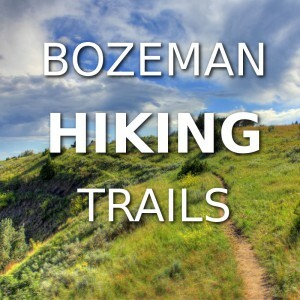 Click to view an Interactive Map of Bozeman’s Hiking Trails. Thanks to Bozeman’s Main Street to the Mountains trail system, you don’t have to go far to escape knee-pounding pavement and spend some time in nature. Try the trails below or explore your own. Palisade Falls is a 1 mile heavily trafficked out and back trail that leads to a beautiful 80-foot waterfall. The asphalt-coated trail is perfect for child strollers. Palisades Falls is the result of prehistoric lava flow forming massive hexagonal basalt columns. Grotto Falls Trail is a 2.4 mile out and back trail. The elevation gain is only 250 feet. This is a great trail to hike if you’re new to hiking in Montana. Emerald and Heather Lakes Trail is a 7.3 mile moderately trafficked out and back trail. You can continue beyond Emerald Lake to Heather lake for an additional mile. Emerald Lake sits in a dramatic cirque made of Mount Chisholm and Overlook Mountain. 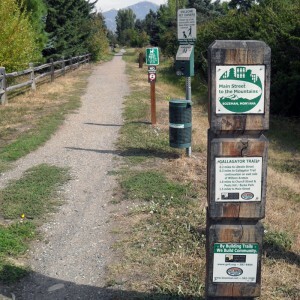 East Gallatin River Trail & Glen Lake (Bozeman Beach) is a 1.2 mile out and back trail. The East Gallatin River Trail begins at Bozeman Beach and Glen Lake, a man-made lake with a 300-foot beachfront in the East Gallatin Recreation Area. The recreation area has picnic shelters and a fishing dock. The trail leaves the lake and follows the East Gallatin River. There are various fishing accesses along the route. Storm Castle Peak is a 4.7 mile moderately trafficked out and back trail. Storm Castle Peak is a rocky peak that rises 7,170 feet atop the east wall of the Gallatin Canyon. The trail gains 2,300 feet in 3 miles. Bozeman Creek Trail is a 16 mile out and back trail. The trail offers hiking and mountain biking opportunities in summer months and cross-country skiing in the winter. In the winter the the Bozeman Creek trail section is groomed regularly by the Bridger Ski Foundation Nordic Team. Pine Creek Lake is a 4.1 mile moderately trafficked point-to-point trail located near Livingston, MT that offers scenic views and is rated as moderate. The trail is well defined and meanders through forest en route to the base of Pine Creek Falls. The trail becomes strenuous continuing past a series of waterfalls and smaller lakes before reaching Pine Creek Lake. The Lava Lake (Cascade Creek) trail is a 6 mile, moderately rated, out and back trail that climbs 1600 ft to a beautiful lake setting that is surrounded by the Spanish Peaks. 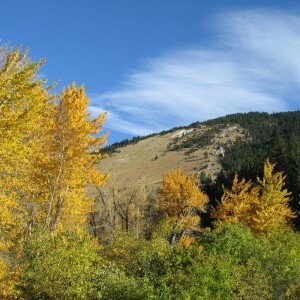 Located 30 min south of Bozeman, MT, the trail is primarily used for hiking and is easily accessible from May until Oct. 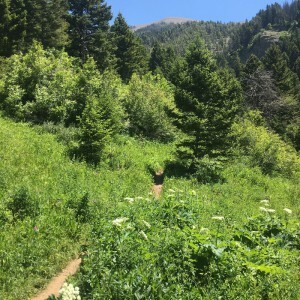 Triple Tree Trail is a 4.3 mile moderately trafficked loop trail located near Bozeman, MT that features beautiful wild flowers and is good for all skill levels. The trail offers a number of activity options and is accessible from May until October. Chestnut Mountain to Frog Rock Trail is a 13.8 mile lightly trafficked out and back trail. This easily accessible trail provides great hiking, mountain biking and rock climbing opportunities. Chestnut Mountain Trail climbs 2200 feet in 4.6 miles past the spectacular Frog Rock pinnacles to the ridge of Chestnut Mountain. The Story Hills Trail is on privately owned property and is open for recreation to the public during daylight hours. The trail offers great views of the Gallatin Valley all along the trail. South Cottonwood Creek Trail is a 3.2 mile out and back trail. The South Cottonwood Creek Trail follows the creek upstream into beautiful Cottonwood Canyon through meadows and a forest. 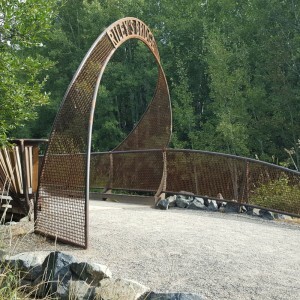 The South Cottonwood Creek Trail connects with the Langhor Trail at 2.4 miles and the History Rock Trail at 6 miles. Even with all the existing trails connecting Bozeman, there are even more to come! Plans are being finalized to connect Main Street to the “M Trail” and Drinking Horse Trail, and to expand the Bozeman Pond trails on the west side of town.